Hello everyone. I want to share some really cute Christmas gift tags with you today. 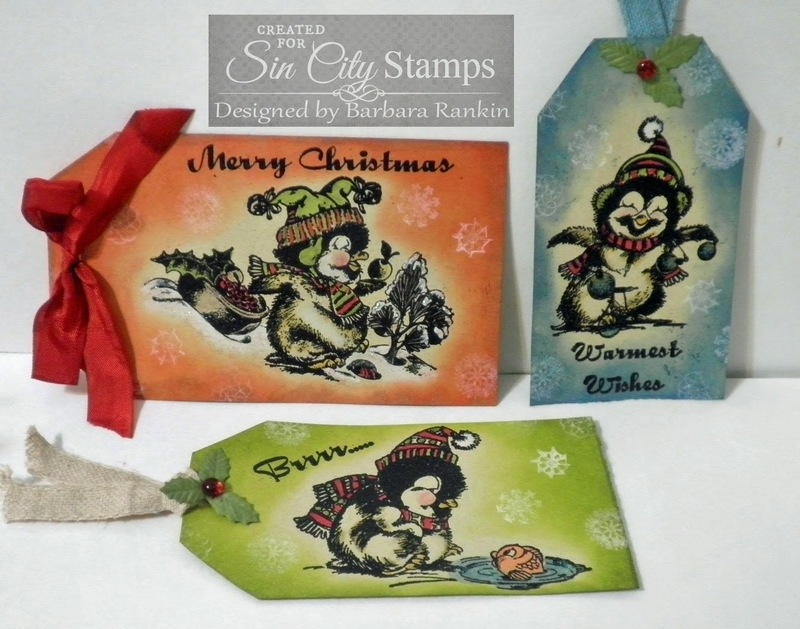 I love this set of stamps from Sin City Stamps, and I could not stop making tags using these cuties! As we get closer and closer to Christmas, I know that your time is getting shorter. 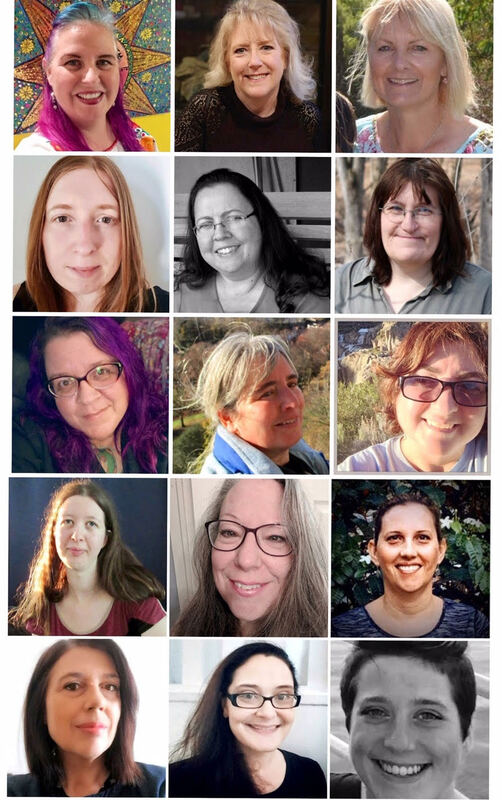 So, I thought I would share something you could make several of in an afternoon, and use in many different ways. Blue tag: 2-1/2" x 3-1/2"
Green tag: 2-1/2" x 4-3/4"
Red tag: 3-1/4" x 5-1/2"
Each tag was first stamped and embossed with black embossing powder and colored with Copic markers. 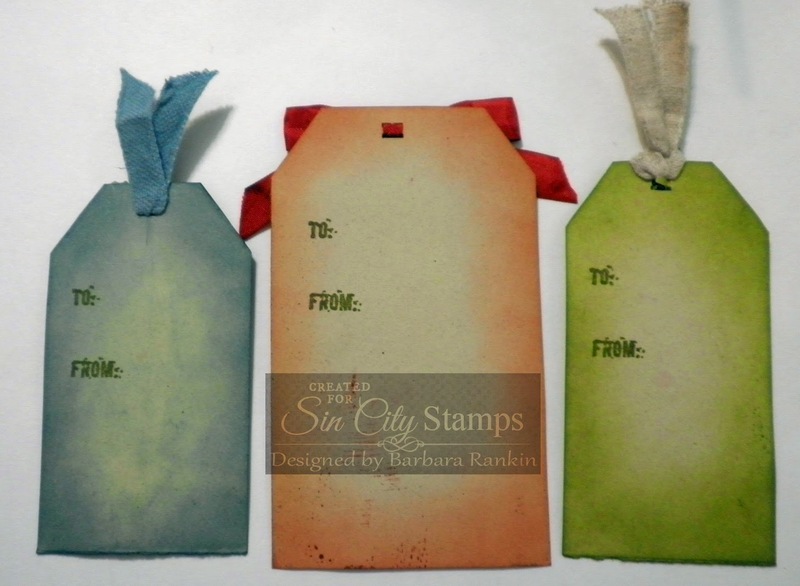 Color each tag with blue, green, or red distress inks, leaving the center uncolored and light. 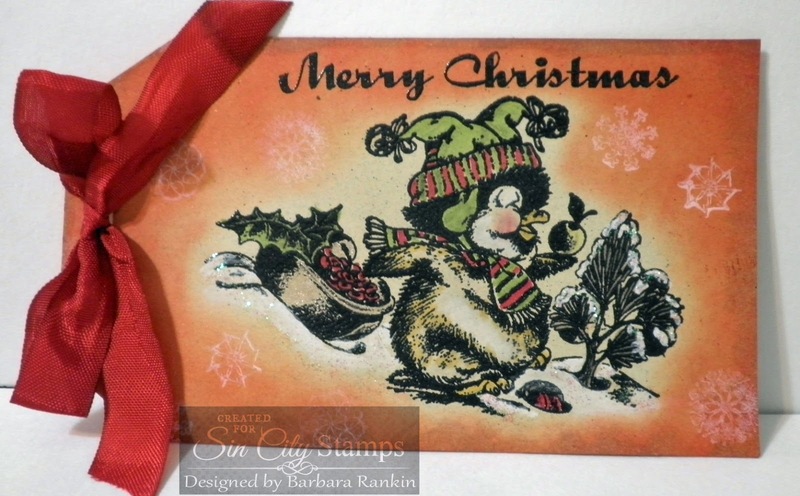 Stamp tiny snowflakes around the image with white ink. Add matching trim or ribbon to each, and on the green and blue tags, add holly leaves with a red dew drop from Robin's Nest. Instead of using a round hole punch on the red tag, I used a ribbon slot punch to thread the ribbon through. This made it really easy to tie a bow on the front of the red tag, as shown below. Add small amounts of glitter glue to snow, water, and ornaments. Stamp "To:" and "From:" on the reverse if you are using them as gift tags. Here are pics of each tag individually. Remember, if you don't want to use these as a simple gift tag, they make excellent focal images for a card front, too! So give them a try and make a bunch. 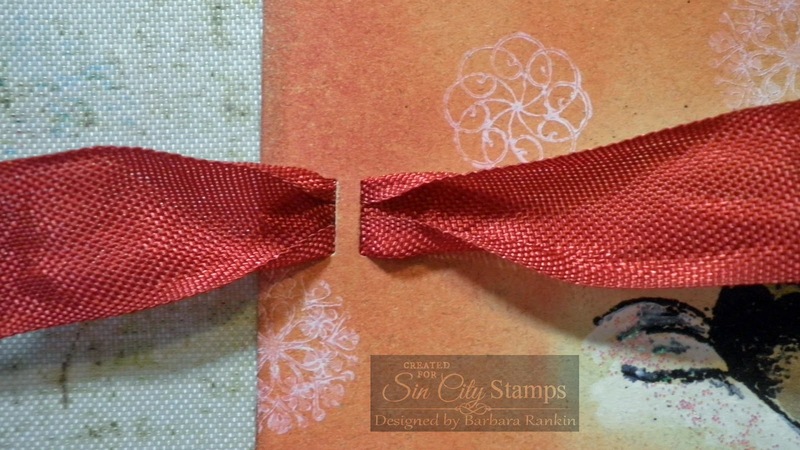 Be sure to stop by the Sin City Stamps blog for inspiration, and the online store to check out the awesome stamp collections, stencils, and die cuts. Have a wonderful weekend, and stay crafty, my friends! oh my these are seriously cute.. love those stamps!!! !